Many companies and expats alike consider moving to Ireland every year, in part thanks to impressive low tax rates and the European culture. Moving to Ireland calls for more than just these considerations, however, and ExpatFinder can help you in finding the best moving companies with the best rates. Aptly called Emerald Isle for its green pastureland, Ireland is now considered, both and figuratively, as greener pastures for many expatriates looking for their niche in Europe. Ireland's astoundingly beautiful landscape is a nature's gift to its people. Impressive limestone formations dot the Irish countryside, giving it an air of enchanting mystery. These breathtaking sights span an area of 70,280 square kilometres, making Ireland Europe's third largest country. Coastline mountains surround the plains of Ireland. The highest peak of which is Carrauntoohil, a mountain that rises to an elevation of 3,406 feet above sea level. Most of Ireland's Western areas are made up of mountainous and rocky green plains. Ireland owes its many shades of green to the country's mild oceanic climate. The country gets frequent rainfall and days of warm sunshine but is spared from the very extreme weather. The precipitation remains tolerably light throughout the year. The country's inner towns are warmer in the summer and colder in the winter, and experiences around 40 days of below-freezing temperature annually. The months of May to September bring the best weather for an Irish sightseeing trip. Ireland's lush surroundings show how agriculture greatly contributes to the country's income. However, recent economic changes shifted the focus to services and high-tech industries. The country has a GDP of around 117 billion USD, making it one of the wealthiest countries in Europe. Ireland also tops the list of a study by The Economist for having the highest quality of life. The low Irish corporate taxes, currently at 12.5%, have attracted more businesses to set up camp in the Emerald Isle. However, recent financial challenges have also affected the Irish economy, and the country is still trying to bounce back from the economic slump. Ireland has a population of about 6.2 million. A significant 73% of the population are Roman Catholics, and the remaining numbers are mostly Protestants. With the promising economic growth experienced by Ireland in the 20th century, the country has become one favourite immigrant destination in Europe. Around 150,000 of the foreigners in Ireland are made up of Polish citizens, and a considerable number of expatriates also come from European neighbours like Lithuania, Czech Republic, and Latvia. Also known as Eire, The Republic of Ireland is a country located in the west of Great Britain known for its vast farmlands, majestic mountain ranges and picturesque towns where history and modernisation blend perfectly. However, Ireland is more than just a pretty face. With its membership to the European Union, it became a magnet for foreign investors and expats from all parts of the globe. Despite the drastic effect of the Global Financial Crises that hit Ireland in 2007 to 2008, the country managed to recover with the help of several multinational companies that brought a huge number of American and British workers that helped push the local economy to growth. Today, expats from various nationalities are finding prosperous employment in Ireland especially in the banking, finance, IT and telecommunications sectors. This Celtic Tiger serves as the home of over 4.7 million people who are enjoying an excellent quality of life, beautiful sceneries and high standard of health care. Most Irish families own houses, but expats who are only in the country for a temporary work assignment can opt to rent. 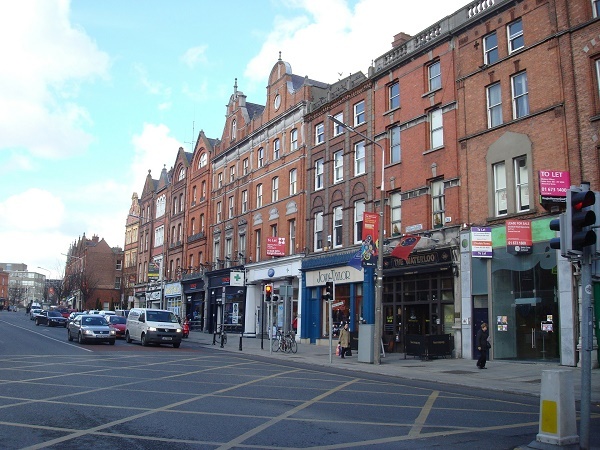 As with any popular destinations abroad, finding accommodation in Ireland can be quite tight especially in the months of September and October because of the students looking for rentals near universities. Expats should begin searching from their home country by browsing through housing websites for Ireland where they can get some idea of how much to prepare and where to start looking. Those who want an easier way to find a home can hire real estate agents instead but must be ready to pay their service. Before you bring the luggage out and start throwing in your entire house into it, make a list of the essentials you can't live without. For a move to Ireland, you may want to pack a considerable amount of rain gear. Irish weather, though mostly pleasant, is also riddled with more drizzles than what you're probably used to. An umbrella, a couple of light weatherproof jackets, and a bunch of clothes you can layer on and take off as necessary would be your wardrobe must-haves in Ireland. Rain boots would complete your ‘battle gear' for Ireland's rainy climate. Another common piece of advice is to bring a good converter for your gadgets. The voltage used in Ireland is 220V AC at 5Hz. Others suggest bringing a good stock of your comfort food that may only be available in your home country. In any case, relocating to Ireland should be a breeze, as there are removal companies that could help you with overseas shipping. Removals to Ireland shouldn't be too complicated. But of course, an awareness of customs regulations would help. Guns, explosives, or ammunitions of any kind are strictly not allowed to be brought to Ireland. The same rule applies to agricultural products such as plants. Meat products and other fresh foods are also prohibited at the Irish airport. Even a common herb called St. John's Wort is not allowed to be brought in to the country. Movers in Ireland would be able to advise you further on what you are not allowed to bring into the Emerald Isle. Despite the hit of the 2008-2009 financial crises, Ireland remained a strong nation that stood firm in the face of adversity. 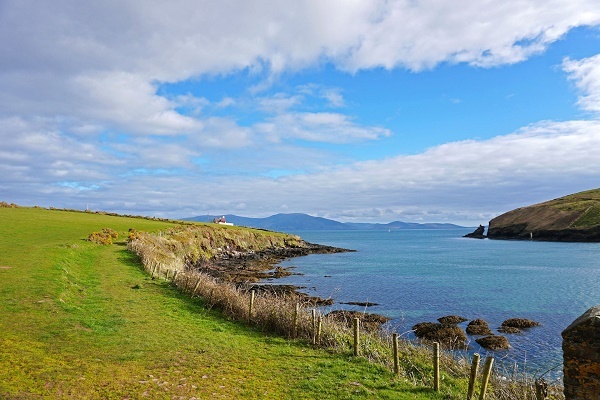 Ireland continues to prove the world that its untarnished picturesque beauty and unwavering determination are some of the reasons why it has always been a hotspot for expats. Ireland’s total number of inhabitants as of 2016 is 4.7million making it one of the smallest countries in the European Union when it comes to population. The low number of residents is one of the major luring forces that drive foreign nationals in Ireland because there is no problem of overcrowding which is common among leading destinations abroad. Aside from securing a job and a home, here are some other factors that every expats must know after deciding to move to Ireland. Ireland’s climate is strongly influenced by its location near the Atlantic Ocean. It is rare for people to feel too much heat because the average daily temperature is only 50⁰ F. The country is always visited by the North Atlantic Current, a soothing ocean breeze that keeps the temperature moderate and constant rainfall that ranges from mist to mild showers. Ireland has four seasons: springtime which occurs in the months of February to April, summers from May until July where the hottest temperature that expats will experience is 68⁰F, autumn from August till October then followed by winter which usually starts in January and ends in February. Expats are advised to bring clothes that can adapt to the country’s different types of weather. Instead of bringing winter clothes made of thick fur, they can opt for different kinds of garments that can be layered on top of each other. Sweaters and shawls are a must have as well as waterproof or rain gears to protect them during the wet days. Authentic Irish cuisine has strong local and English influences. Historically speaking, the staples of an authentic Irish diet are grains such as oats as well as wheat and barley that are either prepared as bread or porridge. When potatoes arrived in the 16th century, it profoundly influenced the local cuisine and had been part of almost every dish such as soups. Nowadays, Irish stews, bacon and cabbage are the three national foods of the country. It is on the menu of every Irish restaurant and is served by locals whether in a simple gathering or a huge festival. Eating out in restaurant has become a bit costly in Ireland recently but there are some establishments that are just simply irresistible such as the Fishy Fishy in Cork that serves fresh seafoods and Freddy's Bistro which is ranked as one of the top restaurants in Ireland. Expats who want to taste authentic Irish dishes or drinks, can go to the pubs which are part of the Irish tradition and culture. Keep in mind that in this country, pubs are different from bars and its one of the places where the Irish love to socialise with their friends or just enjoy a meal with their family. There are lots of exciting activities to do in Ireland and regardless of one’s idea of fun; the country has all sorts of ways to people from getting bored. Expats who want to travel back in time can visit the country’s magnificent castles that serve as the silent witnesses of the Irish history. Outdoor lovers, on the other hand, can go to Killarney National Park in Kerry where the luscious green forests, lakes and streams will make them feel in awe of Mother Nature’s beauty. There is also the district of Connemara in western Ireland which is famous for locals and expats who love hiking, camping and fishing with their family. Expats who love party should not miss going to Dublin, the country’s centre of nightlife. 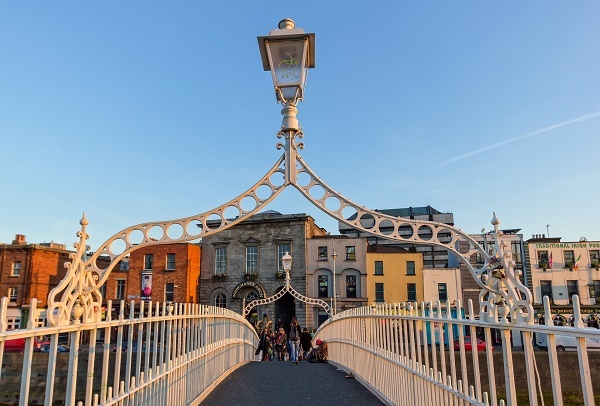 The whole city is famous not just to locals but all over the world and is one of the hottest destinations for young tourists visiting Ireland. One establishment that expats must visit during their free time is the Temple Bar, an iconic venue that serves authentic Irish beer and mouth-watering dishes at a reasonable price.